I have failed you in my attempt to read all 13 of the Booker longlisted novels by the winner announcement. Not because that date is upon us, but because I can confidently state that I won't finish at least one of those 13 now or anytime in the foreseeable future. 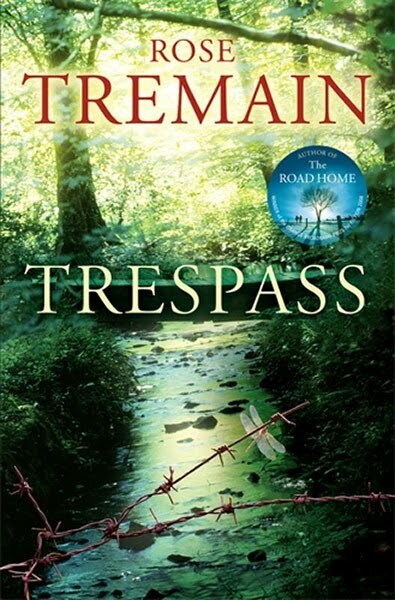 That book is Trespass, by Rose Tremain. 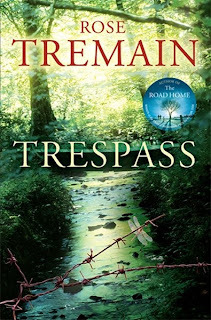 I tried my best - I honestly did - but I made it less than 40 pages into Trespass (which only runs to about 250pp) before deciding that life is too short to waste on books that bore me utterly. That was over a week & a half ago, and I have had no desire in the meantime to pick it up again*. A common criticism of the Booker prize is that there is a certain style of novel frequently rewarded (to at least shortlist stage). These novels tend to feature older, privileged, often artistic-class English/Irish people taking stock of their lives. John Banville's The Sea was, in my opinion, an excellent example of this genre, but there have been plenty of less-interesting versions of the same thing. Despite my enjoyment of Banville's book, I have a fairly low tolerance for this style of novel, and thus was not encouraged when I read the jacket blurb for Trespass. 1. Aramon Lunel - "an alcoholic so haunted by his violent past that he's become incapable of all meaningful action"
2. Audrun (his sister) - "dreams of exacting retribution for the unspoken betrayals that have blighted her life"
3. Anthony Verey - "a wealthy but disillusioned antiques dealer from London" who falls into their world. My heart sunk with each successive line from that description, but I tried to give Trespass a fair go. Unfortunately, I found myself unable to do so. Maybe it's a flaw in me, but reading about wealthy people's problems is not inherently interesting. I'm not trying to be a class warrior, but character descriptions like "a wealthy but disillusioned antiques dealer from London" make me roll my eyes, not wonder what could possibly have disillusioned the poor soul. Ditto books about people who move to "the dark and beautiful heartland of southern France" to sort out the mess they have made of their lives. I would at this point like to remind whoever's reading that I am not even one of those people who necessarily needs to like the characters in his books. I'm quite happy reading novels focusing on completely unsympathetic characters. And it wasn't that Trespass put me off with its unlikeable characters - it just bored me and made me utterly fail to care about any of it. Anyway, Trespass didn't make the shortlist, so we need not concern ourselves with it any further. Next: In a Strange Room, Damon Galgut, the only remaining book from the shortlist in my reading list. (I have a copy on its way from the Book Depository, so hopefully will get to read it before the winner is announced mid-next week.) I'll almost certainly not get to Helen Dunmore's The Betrayal or Lisa Moore's February by then. * Reading in the meantime: Great Expectations, newest McSweeney's, Catherine O'Flynn's The News Where You Are, and some Borges essays. All of which have stomped all over Trespass. I'm sorry this one didn't work for you. It was one of my favorite reads of the longlist this year. I was utterly entranced with it from the very beginning, but I also tend to like artistic types taking stock of their lives. Yeah, after I abandoned it, I read some reviews, including some positive ones (yours included). Perhaps I did just miss something, or wasn't in the mood for it. Sometimes the fault is the reader's, after all. Either way, 'Trespass' just didn't for me.